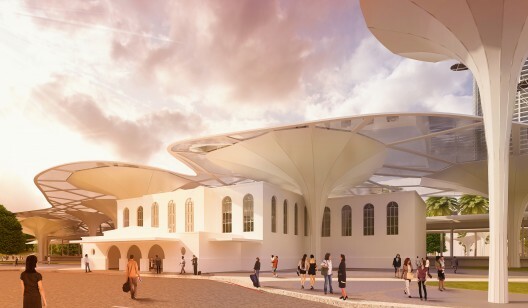 The second prize winning vision for the Urban Redevelopment Project at Tainan Main Station Area responds to the extending aim of positioning Taiwan in general, and Tainan city in particular, as a major historical based tourism destination. Designed by Maxthreads, their strategy attempts to contribute to Taiwan's economic diversification from its current infrastructure lead planning system. 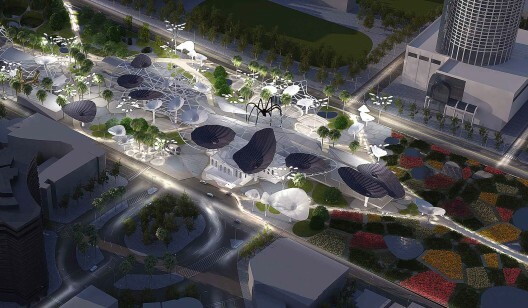 Tainan main station master plan is imagined as a cultural based community and nature intervention, with sustainable residential development and the potential for natural habitat areas. It aims to be a cultural and vibrant edutainment intervention as well as a secluded haven of peace and tranquility. Tainan main station is conceived as a new gateway of Taiwan's history. 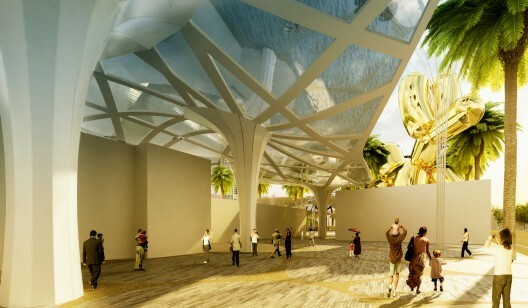 The proposal aims to reconcile community and biodiversity. It will act as an eco-transitional urban device, transferring and linking the diversity of the surrounding urban districts and programs. The concept behind the master plan proposal derives from the area's original function as transportation node. The proposal will maintain the areas historical identity, whilst providing a boundary free and a self-sufficient urban planning, incorporating a number of sustainability systems.